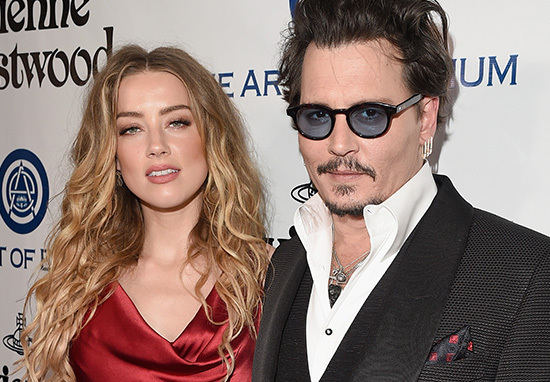 Amber Heard and Johnny Depp have been locked in what seemed to be a pretty vicious divorce battle, with serious allegations of physical abuse – but it is now all over. As reported by US Magazine, the estranged couple have released a statement to confirm the battle is over and their divorce has been settled. 30-year-old Heard has dropped her request for a domestic violence restraining order against 53-year-old Depp, and will not be able to refile. TMZ has suggested Heard will receive a $7 million payout as part of the settlement. Our relationship was intensely passionate and at times volatile, but always bound by love. Neither party has made false accusations for financial gain. There was never any intent of physical or emotional harm. Amber wishes the best for Johnny in the future. Amber will be donating financial proceeds from the divorce to a charity. There will be no further public statements about this matter. The news follows a video leak where Heard filmed Depp slamming around their kitchen apparently under the influence of alcohol, and reports Depp cut off a sizeable chunk of his own finger during an argument. Hopefully they can both move on to better things, as together they seemed pretty toxic.